04, Shilp-3, Opposite HOF Showroom, Mann Party Plot Cross Road, Sindhubhavan Road, S.G.Highway, Bodakdev, Ahmedabad - 380052, Gujarat, India. 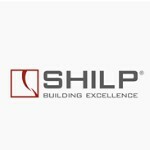 Shilp Group recruits, retains and rewards people who have the commitment and passion to make a significant contribution to our success consistently. We believe in providing inspiring work culture that promises responsibilities, opportunities and challenges to our employees. We look forward for people who want to make most of their potential along with sense of obligation towards our organisation.